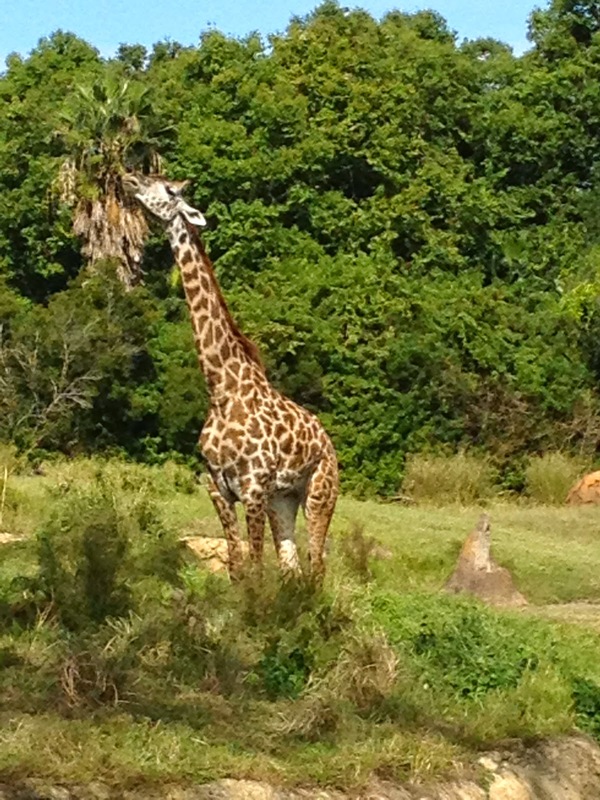 Sanaa is located a bit off the beaten path at Animal Kindgom's Kidani Village. I can assure you the trek is worth it, especially if you have an animal lover in the group. Unfortunately we could not get a dinner reservation (they were booked more than 6 months in advance)! We were a little hesitant to take the time to leave the park to go to Sanaa for lunch because we didn't want to miss a moment in Animal Kingdom. If you knew my son you would know that we had absolutely no chance of missing our reservation. He had been dreaming of eating while watching the animals up close and Sanaa did not disappoint. In hindsight it was the culinary highlight of our last trip and I am so thankful we rallied. From the moment we arrived for our reservation our waiter was amazing. He sat us right by a big window and described the exotic menu to us. He brought out the children's menu right away and made sure that there was something appealing to Logan. Sanaa's menu is not for the picky eater. It is African cuisine with rich and exotic Indian spices mixed in. Logan chose a simple chicken and basmati rice meal with carrots. He loved it. Sanaa does have burgers and pizza for the kids as a back up. We asked the waiter to recommend the chef's top dishes and had him order for us. We started with three different types of Naan bread that came with three unique sauces for dipping. The bread was so filling I could have left satisfied right then. Our meals were extremely spicy and the flavors were incredible. I had the Durban shrimp which was amazing but four alarm spicy. My eyes teared the entire time. Of course that did not stop me from eating every bite! My husband had the short rib which was a bit milder but not much. For dessert we had the Tanzanian chocolate mousse and Logan inhaled the peanut butter turtle. In between courses our waiter gave us the name and history of every single animal on site. Giraffes, zebras, ostriches, gazelles and very slow tortoises all paraded by our window while grazing in their own personal savannah. It was amazing! We could not believe how well versed and interested in the animals our waiter was. When planning our trip, we originally tried to get a seating for a meal with an animal specialist. Of course that reservation proved impossible to get. If you are interested book a year out. We were disappointed but after our experience we found that it was not necessary. 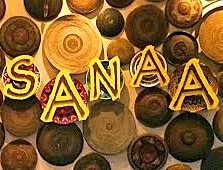 The staff at Sanaa is terrific and very knowledgable. Of course, that won't stop us from trying next time!